The wood router is a familiar tool with woodworkers. We can use it to perform a lot of functions, such as trimming, shaping or even cutting material. Almost that tasks serve one purpose, to create shape and decorate the wood creature. This machine is a powerful tool, some people said that it is the most versatile machine. But beside that advantages, sometimes we still get some problems with a wood router in the using process. And these problems may cause some troubles for new user. So, in this article, we will list the most common problems and the solutions of them, with hope that it will help you during the using process. Imagine, when you are working on an urgent and important task, and your wood router suddenly breakdown. It is such a disaster with you, right? This problem could happen anytime, and we cannot anticipate it. So how can we avoid this issue? The best way to prevent this problem happen, is to prevent it from the beginning. That mean we should choose the good quality wood router, example, choose the machine from a well – known brand. This solution may cost a little more, because products from well – known brands are usually more expensive than the normal one. But, in exchange, we can use it for a long time. And we can avoid the unexpected problems also. Sometimes, you turn on your wood router, but it does not work. Even you have checked the plug to make sure that it is tight enough, and the electrical source also. Everything is OK, but your wood router still not working. How can we handle this situation? We should check the electrical circuit inside the machine May be, there is a solder bridge, or a broken in the electrical circuit, and it causes the interruption of the electrical line. If you cannot find out anything, may be the issue happens inside the circuit, or the electrical wire, and you cannot see it with normal eyes. So, please call the professional repair worker to fix this issue in a safety way. 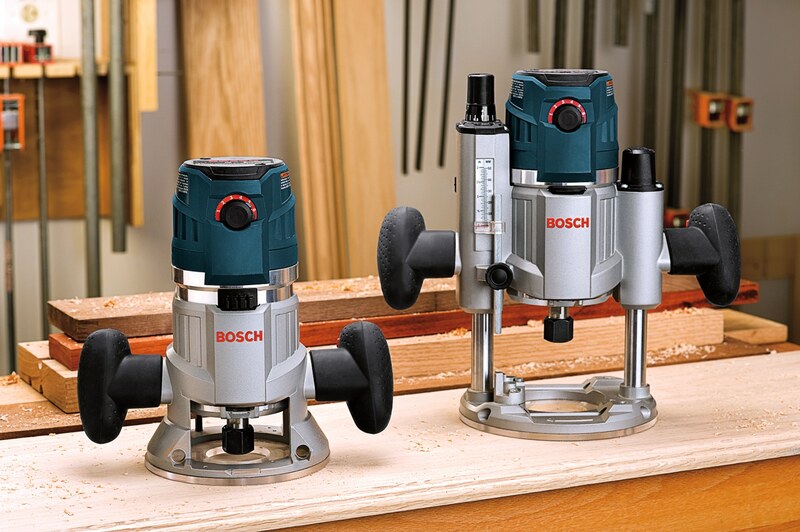 The broken router bit could cause damage on your wood creature, or even it will harm your body, example, when the broken router bit hit your eyes, it could cause serious issue. To avoid this issue, you should use the good quality router bit (the router bit of famous brand). And make sure that you have installed the router bit correctly. Do not forget to check the sharpness of the router bit before you use it. And finally, remember to wear the protection gear before working. When you use the wood router for a long time, the wood dust may insert into the gap of the machine’s motor. And it will cause the friction, then the router will be heated up, and its motor will be abrasive. This issue will affect directly on the duration of your wood router. To reduce the impact of this problem, please make sure that you have clean the router bit, the collet and the motor before using it. This action will remove the wood dust, and make the router work smoothly. Remember to add lubricant to the router’s motor once a month, it will increase the endurance of the motor. 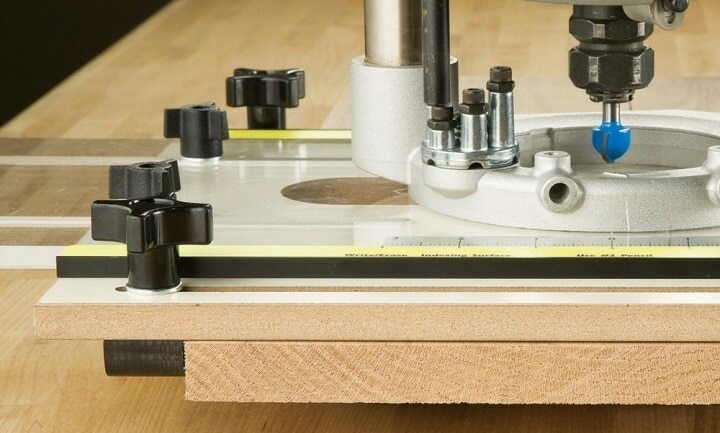 A loose belt could cause the instability in the performance of a wood router. Because this issue affect directly on the speed of the motor, and it will cause defect on your creature. To avoid this problem, you should check the belt before using it, to find out whether there are some crack or damage on it. And remember to change the new belt periodically. Through this article, we can see there are five common types of problem when using the wood router. They could cause inconvenient, delay of your work, or even harm to your health. The best way to avoid these problems is: prevent it from the beginning. That mean, we should check our equipment carefully before we use, clean it, and wear appropriate safety gear. And then no issue could annoy you. Good luck!